As good as the LiddUp Cooler idea is, it's also a very tight and competitive market with only a few major players that control most cooler sales. 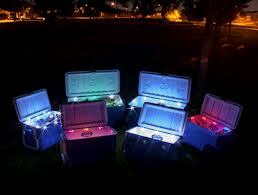 The idea to make a brand new cooler and then add the Lidd Up LED lighting system to them would almost seem cost prohibited unless you have some very deep pockets. Fortunately Sanberg has what it takes to get on the Shark Tank Show and will get the opportunity to pitch the LiddUp Cooler to some very wealthy Sharks. The real question is how much money will it take to bring the LiddUp Cooler to market? And what will be the best strategy to do so? Statistically the Sharks prefer products already being manufactured or they are likely to want a very large percentage to bring it to market. According to the LiddUp Website you cannot buy one just yet and no way to even pre-order a LiddUp. This can mean one of only two things especially being so close to when Jayson will be on the Shark Tank Show. Number one is he did not get a deal on the show and is still developing his patent on his own which might take awhile before we see the LidUp Coolers in Sporting Goods Stores. Number two is Sandberg did make a deal with at least one Shark and they are looking for a licensing deal with an established cooler maker. This (to me) would seem like the best and most logical choice for this particular invention. Getting an exclusive licensing deal with someone like Coleman would seem like a win-win for all parties involved. Why completely re-invent the wheel when you could just roll with an established brand to compliment their existing product? There is no question that there is a market for the LiddUp LED Light Coolers and I for one would love to have one myself. We already must have at least a half a dozen coolers so the idea to buy the LiddUp and install it to a cooler myself would be something I most definitely would be interested in. However this is such a cool idea I would probably buy a brand new cooler if that is the only option. Hopefully after this Friday Night we will see which direction the LidUp Coolers will be heading and how long it will be before we can buy the cooler of the future. In the mean time you can buy a cheaper version from Coleman Auto-On LED Cooler Light that's better then nothing. Like Liddup on FaceBook no mention on facebook? Jayson Sandberg and Taylor Guiazdon came into the Shark Tank asking for $100k for a 10% stake in the light-up cooler business. Kevin O'Leary instantly questions the million dollar valuation and Taylor finally fesses up that they needed to start somewhere and a cool million is as good as any. They don't have a patent on this unique idea, but three covering LED lights in and around the cooler lid. In hind sight it was the best decision to get the LidUp Coolers manufactured by an already established brand, as outlined above, and this is exactly the type of deal they were looking for. Robert Herjevic already has an excellent contact within the sporting goods industry and offers $100,000.00 for 25% of the business and will set up the meeting. O'Leary says he can get a licensing deal but he wants 33% of all royalties for life. They ask for a few minutes to discuss both offers when Herjevic backs out of his offer leaving Kevin the only Shark left. Guiazdon and Sandberg accept Kevin O'Leary's offer which is the shark they were hoping to snare all along. A Great Deal for a Great Idea! Good Luck Jayson, you finally did it! 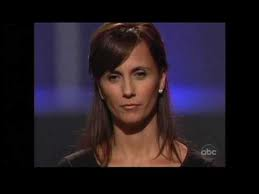 We will be watching you hopefully make a deal tonight. J.T. You have an awesome product .. I will be watching for them in the store .. 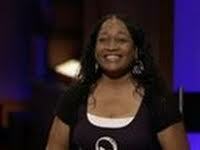 I WANT one ... Just watched you on Shark Tank ... Congratulations .. 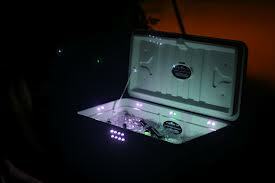 Put some chem lights in your cooler!!! What a novel idea....something so simple, but genius. Congratulations. Love it! Can't wait to buy one. Would love to see it with my favorite Steelers colors. Black with yellow led's. The cherry would be if it also said something neat when you opened the lid. Like those silly cards that sing when you open them :-) good luck! I want one it would be perfect for everything we do!!!! Your 3 patents do not protect this adequately. One requires an MP3 player that comes on with the light, another requires a toggle switch, and the 3rd a magnetic reed switch. Those are all 3 easily avoided. As a patent attorney with over 40 years experience I predict your competition will duplicate your cooler and you will not be able to do anything about it. I checked because I doubted you could get a broad patent on such an obvious concept. I was right. Sorry, dude, you are in trouble. Glad you pointed this out. I was about to dig into the patent claims to see how they could have a strong patent on something so obvious "to a person having ordinary skill in the art". The only thing that may make them money is a company settling for less than it would cost to defend themselves and defeat the patent in court. 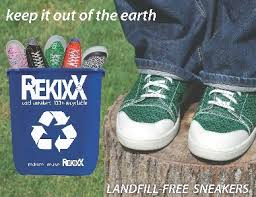 I have a patent pending on this product I started it 1 and a half yr's ago with PATENT ASSISTANCE WORLDWIDE check on it.Tom Rolfes St. Louis MO. Your 3 patents do not protect you. Your competition will easily design around them. The Sharks were lucky not to invest. Coleman already sells a light in a cooler. So does Coghlans Ltd.
Bruce is correct! Someone can design led lights that can easily be installed and snap onto everything. Someone probably already have. Great idea! I would buy one! I would buy this! Hope they make it! why would you go on a show, without the patent. The design is out there now for other to steal. This was already invented. I couldn't believe it when I saw this shark tank. I personally have an LED light manufactured by Coleman that installs on the inside of the cooler. It has settings that allow you to have the light always on, always off, or light up when you open the cooler and go off when you close it. I'll admit that the light I have is not built in-- but some might consider this a perk, as you can install them in refrigerator drawers, kitchen cabinets, etc. You can also take it with you if you get a new cooler. In addition, you have the benefit of getting cooler lighting for less than $20.00 rather than having to buy a new one. I also felt it was dishonest for these guys to say that there is no one else on the market making any sort of cooler light. Good idea. When will it be available? I am still trying to understand why you would turn down Roberts offer of 100k for a 25% stake in your company which would have also been a licensing deal when you instead gave away 33% of your companies profits for Zero to Kevin? You could have had more of your company and cashed a check immediately so having to think about that really confused me. Why they even had to reconsider not taking Robert's offer is beyond me. It looks as though they made a deal with Igloo, product is due on the market Feb 2015. At least they received a deal, but now they've lost immediate money, and royalties and more of the company to Kevin. Why did they not take Robert's offer right away? ?